My dad was a determined and stubborn man, and when my brother called to tell me that Dad had called from the hospital to tell him that he was done with the hospital and wanted to come home and die, I knew that he really meant it. He had finished the book he had been writing, endured six miserable weeks in the hospital without any improvements, and knew that he would not be able to live independently again. At some level, I understood his decision. I certainly respected his clarity about what he wanted. He had struggled back from a very serious surgical complication that left him partially quadriplegic. He knew how to fight. He had managed to live alone in that condition for ten years. But he was done. "At some level, I understood his decision. I certainly respected his clarity about what he wanted." As a doctor-daughter, I wanted to make sure that he wasn’t depressed, to understand his reasons for this change in his goals, and to make sure that he did not suffer. Drawing on a former student to arrange hospice care quickly, we were able to get my father home that day as he had insisted, and I arrived late that night, to find him in a hospital bed in his room, relaxed and, in some way, free, with my brother sitting at his side. We talked a bit, and he kept choking on his secretions. It was hard. He said he wasn’t ready to die yet, that he wanted to drift off gently, and that he did not want to suffer. He thought that stopping eating and drinking was the way to do it, but wanted to make sure that we could have medication available so that he could feel secure that he would be comfortable. 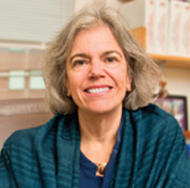 Dr. Susan D. Block is a Professor of Psychiatry, Chief of Psychosocial Oncology and Palliative Care at the Dana-Farber Cancer Institute and the Co-Director of the Harvard Medical School Center for Palliative Care. She received her MD from Case Western Reserve University and completed residences in psychiatry and internal medicine at the Beth Israel Hospital Boston. Block is a nationally and internationally known researcher and prominent expert in palliative care and psycho-oncology. Her current areas of research are mental health and communication in advanced illness, bereavement, and how clinicians deal with the psychological challenges of life-threatening illness. Block is also currently collaborating with Dr. Atul Gawande to create and test a Serious Illness Communication Checklist designed to improve the achievement of patient goals at the end of life.